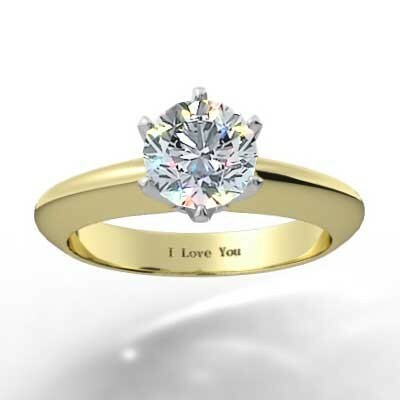 An engagement ring says so much. It represents your new life together and endless possibilities. Make it count! Show your commitment by choosing a ring that represents who she really is. The Six Prong Knife Edge Diamond Setting 14k Yellow Gold is the ideal choice for the sophisticated and fashion forward woman in your life. 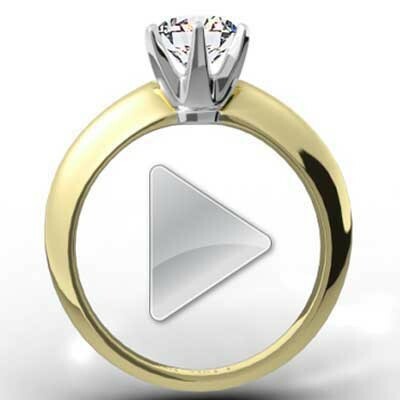 Choose the diamond size and cut that will make her heart beat fast. Or add a personalized engraved message in the band. There are so many ways to make her engagement ring feel extra special. So choose wisely and share the love.